GOD,Family,OFP,Military Tactics and as much as I can learn about Computers. Any chance of Releasing this to Steam for auto updates there? Help - codename - callsign - for a mission ! Did a quick Google search and found this link which provided the following quote and further down provided another link. I think the problem is that even if you were to find the callsign identifier that you would like such as bear, there is no english word to represent it other than bear. Whereas, the Russian word for it is Ð¼ÐµÐ´Ð²ÐµÌÐ´ÑŒ, how exactly would you convey that to the english speaking player? Sure, using this site, you could print them out using strings but what is the point really? Unless your target audience is Russian, the player will stumble over the pronunciation and even the meaning of the word. And even if your audience is Russian they will most likely laugh at your attempts to butcher their beautiful language. It would be helpful to know how they translate the Russian word to a comprehensible English word such as .... "Ð‘Ð¾ÐµÐ²Ð°Ñ ÐœÐ°ÑˆÐ¸Ð½Ð° ÐŸÐµÑ…Ð¾Ñ‚Ñ‹" into "Boevaya Mashina Pehoty" Which is then shortened to BMP. Any Russian Community members out there who could comment in the thread would be welcomed. Unless of course they spell the english version as the Russian word is sounded out? Ð¼ÐµÐ´Ð²ÐµÌÐ´ÑŒ == MeedVyet 372? Well, I must say that you have good intentions but most features fail to deliver properly. I Have longed for a scavenger type post apocalypse style mission/campaign but this "version" of your idea fell way short of my own expectations. First, please, please don't make a mission dependent upon vehicle failure. It didn't hinder me at all since I never hit anything, BUT, Armacidents happen. In any case, I was excited to hit the big cities and explore. I quickly discovered that nothing was up for grabs. Aside from what you had already pre-planned, the player had no options to loot anything. After I overcome my initial disappointment I settle in for the find this item and find that item hunt. During these hunts, I am confronted by Ai that spawn in to defend their territory. This is a huge No No. The gunfights were the best part of the mission but spawning them in front of the player is not a good idea. To make matters worse, they sometimes spawn right behind the player when he has just came from that area. Not fair. After several engagements, I have loaded my truck with weapons and ammo from the dead defenders and head back to Leonid. He doesn't want any of it. Why? You stated in the briefing that weapons are the highest value. This I feel is your biggest hole in the story. The player kills, confiscates all this new gear and could potentially start his own weapons shop. Why would he need a m16 that shoots 556 when he can easily have an AKM that projects 772? Or a whole stash of weapons for that matter. Why cant I purchase more fuel instead? Why do all these towns have guys with guns but you are the only one with a working vehicle? Why do I need to go kill guys for a brief case to attain a phone when I can just kill the old man and get the phone faster? Another thing I disliked was you setpositioning my vehicle. Why not just attach the item to the truck during the blackout and setposition the player next to the truck? I also didn't like you instantly printing on screen that the place is empty. I think the player can pretty much figure out that if there is nothing with an addaction to place it in truck, they can move one. After grabbing all of the items and driving them back to Leonid. He unloads them and then offers the 3 gun choices. I knew it was coming, He even said so, but I was hoping there would be an option to repair my truck, refuel it or even grab another medical pack. You know? The three things that I can't find while scavenging and killing ruthlessly. But hey, it is what you say it is. So, just for kicks, I kill Leonid and his entire crew. I'm a merciless killer anyway right? I kill to get what I want. It's the Apocalypse! They just stand there crying Blue on Blue and on all that nonsense while I cut their buddies down in front of em. I should have just done that from the start right? Just so you know, the truck goes wacky once you attach the water barrel to it. It seems fine on roads but when you go off road, it launches you into the sky. I don't know why, it worked fine with the tire, sack and white jug but the barrel was a deathtrap. I realize I sound very negative but don't let my words keep you from improving what you have here. I would still like to have a mission where scavenging through survivor infested areas is playable without zombies and multiplayer. I suggest.... Instead of spawning AI, build cool little makeshift bases within the cities and have them defend them. Have other lone survivors moving through the cities too that don't shoot at the player but get shot at by the base defenders. Could add some hesitance for the player..."Is he friendly?" Instead of having items to attach to the truck just use a script and perhaps a custom dialogue image to display a checklist every time the player finds an item on that list. You could have several lists for the player to choose from...Car parts, grain, water, med surplus, etc. Instead of having Leonid and his crew of needless thugs, have other wanderers who have trucks and make rounds from city to city. Then the player could come to their rescue, find things to swap for and generally build a society of wanderers who depend upon one another. These are my ideas and you may not care for them. That's okay. I understand. Thank you for your efforts thus far and keep on editing on my friend. I registered on the CUP forums but haven't seen a whole lot of public activity. I presume the most of it is going on behind the admins section, so just to clarify...The absolute best place to report bugs after the initial release is on those CUP forums, correct? What sort of bugs are you expecting and how best can the early testers help the CUP team find them? What I mean to say is, I realize that many of those terrains are not created by CUP, so bugs will likely be present within each one, e.g. tree out of place, objects at incorrect heights...These are not bugs that you guys plan on correcting, true or not true? (at least not at this point?) 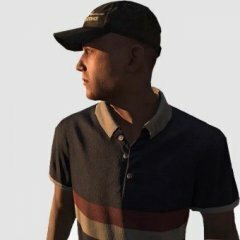 Since you are simply attempting to adjust configs at this point to make them Arma 3 compatible, can you provide some examples on what sort of bugs we could help you isolate in that case. So that you guys are not rocked with all these silly bugs within areas that your team has yet to touch. Don't put any more time frames up, pal. Life is too precious and the little ones grow way too fast to be stressing over things like this. You'll get it done when life permits. If anyone wants to cry over the time frame, let them help. The simple fact that you've decided to pick up the pieces at all, should be good enough. Thank you. When ordered to investigate the grid further in land, I approach, setup and glass all visible hostiles before eliminating them. I wait enough time for others to show themselves or reinforcements to arrive, but no radio option to call in the Hydra appears and if I close in on the compound or try to circle to get another angle on the house (to look for additional hostiles), the mission fails. Am I missing something? The Unsung Vietnam War Mod v2.6 Released !!! Thanks for that info eggbeast. Regarding the tank light, smoke/flare pops and so on, I was speaking of how you would control this stuff through your scripts without a player being in the vehicle(For cinema). Rearding the animations, do you guys have a list of custom animations that you used for various things in the mod? (Any movement anims that are exclusive to Unsung?) But as you say, I know it's in the files, just curious if you guys had a list already to make it easier on those who would rather build with the content instead of expending hours hunting through it. We all have brain farts from time to time. Forgive mine pleaseAre you guys going to release any information pertaining to the use of scripts? Fore example: How to place the canvas top up on the jeep in the init? How to use the spotlights on the front of the tanks? 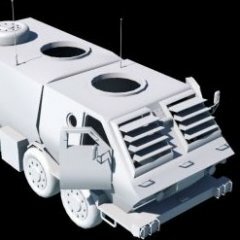 How to close the doors and hatches on the APC's in the init? How to pop smoke, drop grenades, switch sigs/number decals, add bayonets to rifles, manually trigger the traps and pretty much execute all the scripts that you guys utilize in the mod? This information would be helpful for SP mission makers who also invest time into cinema. I also did not see a list of animations in that class name file. Any plans to release that info? That's great to read guys! Would there be a chance of posting a WIP changelog for 2.7 on the first post to prevent us from reporting bugs twice? I mentioned a terrain bug back on this post, but no one responded and I am not sure if it was picked up. There are also AI path finding issues related to some of the Hootches where AI can enter but they can't seem to exit, bridges that AI do not interact with at all, setpositioned objects around bases that are incorrect, green bamboo that folds up into the sky when driven through, indestructible stick and tin fences, plants and small trees that are harder to knock down than large trees and the list goes on but I'm not sure how much you guys are willing to get into. Would there be a chance to take that dufflebag that you have on the backpack pile and separate it into it's own model? Not as a backpack but rather just as an object. Something that can be attached to units for cinema and dropped here and there to dress up barracks, etc? And one requests if ever you guys do repeat this in Arma3, would be Sampans, Junk boats, punts, floating houses and Vietnamese fisherman boats. Since under water tasks are possible there, these additions would fit right in. The mod looks great. So many little details that other mods don't bother with, like GUI icons, great editor icons, gritty textures and random vehicle ID's. Plenty of stuff to play with. Thanks again for all yall's hardwork. Hey guys, Thanks for your talent and hard efforts. I appreciate your sacrifices. If you don't care that I bring things I find to your attention..... TERRAIN TEXTURE BUG: I noticed this in 2.5 and still in 2.6, the water texture on Plei Trap Valley is missing but the water is there. The unit can swim through it but only the edges are visible.http://i62.tinypic.com/5xpqu1.jpg (217 kB) - http://i61.tinypic.com/2338dz.jpg (288 kB) - http://i58.tinypic.com/fm6o7m.jpg (448 kB) .The third image shows the location(From top right of red cross hairs and northward. This map also has repeating map grid coordinates when zoomed in so far. Will this remain or are their plans to correct them? Great work thus far. Just checked out the UNSUNG page on Armaholic and it looks as though it was updated on Monday. Since I had just downloaded the pack last week, I assume I have 2.5. Yes, I played with ACE because there are a couple of missions that required it. But I will definitely remove that from the launch next time. Don't apologize for the grammar, I understand. I just didn't want to offer corrections if you had no plans on fixing them. Hope you fellas don't mind some more feedback on this pack before the next version. I installed both mods and played some other peoples Vietnam missions, most of which seem to have released them and vanished from the community. In any case, this was next on my list. I put a couple of days aside and now present to you my gatherings. Final words My favorite is obviously No Mercy. Second would be AA Charlie (If the length of the battle and options for engagement are increased respectively.) S&R comes in third for the AO experience. Patrol Boat Charlie was fun, but needs to be able to end. If not for that, and the last loon issues, it would have easily taken third. River Raid fifth, because of the room for improvements. Recon Charlie needs the most improvement. M113 bug from No Mercy http://tinypic.com/r/331itdz/8 I certainly hope you guys plan on building that campaign with Cinema. Campaigns are stories that need to be experienced. Without the immersion of cinema, its just a bunch of SP missions connected in order. Not much of a experience in that. I would consider adding TeamSwitch to each mission, so that the player can switch to his squad mates if they become stuck. Now, off to pester some other poor suckers mission. I just played 0.6 beta version this day. Overview You could lose the links, that stuff belongs in the readme that "should" accompany every mission. As always, I prefer editors to provide an in game image of the mission, but this particular image provides that historical feel. Intro5 The start was great. Your static cameras seem to focus too long on one object, with little to no action in the fore or background. Then there is the drifting camera which starts at one point and swiftly soars at break neck speed to the next point, blurring the view and ruining that segment. Briefing All seemed fine to me. Except the first task to "Conduct close combat". Should it not be "Defend the hill"? Mission Quiet start and then suddenly, every unit on my side began speaking simultaneously. oh,do bo san ti ahn mai or something like that. I suspect that this is the mod rather than your efforts, though I am not certain. After their initial urge to blurt out our positions, the speaking slowed but remained consistent. This was good for immersion but bad for tactical warfare(more on that later). I was already blinded by the jungle, and could only guess at what the AI were seeing, so as others had stated, I sprinted to a bunker and watched the trees for American G I. That became boring and after seeing several medic symbols flopping around with no help forthcoming, I decided to help however I could. So, I made my way to each one and healed them. There. I felt as if I contributed something to the battle. From that point, I just kept moving about seeking the trees while the battle raged on around me. I was seriously out of my league here because I could not see squat. At one point, I heard an American speaking one of those Hollywood lines in English, something like "Let's take it to em boys" I think. Anyhow, I just pointed in the general direction and gave it back before they could bring whatever it was they were going to bring. I didn't hear anymore arrogant comments so I assumed I took care of those actors. I was running Ace along with the mission(sorry about that, I don't usually do that for testing as it becomes difficult to distinguish what efforts the authors implemented) but I heard American radio transmissions and followed the sound to a dead RTO unit. Thought that was great for immersion, but again, probably part of the Unsung mod or the ACE mod. Not sure. The helicopter soaring overhead was good for immersion, the occasional mortar round churning up soil was also good. After perhaps 10 or 15 minutes, the gunfire slowed to silence and we stood around on the hill for too long before I heard a single shot, followed by the orders to fallback to Sanctuary. My group insisted on sticking around the hill, and so I followed another group through the jungle before it ended halfway there. When I mentioned earlier about the audio being bad for tactical warfare, there never seemed to be a break in it and thus no warning for which direction the Americans were coming from. It would be great to have a single shout in the direction of each approach, just to allow the player to at least look in the right direction of the action, if possible. Outro Started out nice, but the slow camera creep again, progressed the scene far too slowly with little to no action. When the camera finally focuses on the group of Vietnamese prone in the grass, I could see one unit sprinting away through the jungle as if running for help? And the others nearly broke their backs while aiming at the incoming war machine(Cobra). The next scene was awesome, as the Cobra blasted by the camera, dipped a convex arc to follow the jungle floor contour and promptly crashed into a tree. I thought for a moment that it was part of the show until the camera angle never changed and the next scene showed the burning fuselage in the weeds. I had to abort to end it. The next play through of the outro, the Cobra made it to the last tree(tallest one) of the jungle edge before crashing. In either case, the camera seems to stay in that one spot for way too long. Overall Wasn't too bad for my first foray into the Unsung Jungles but certainly needs improvement. Hope my feedback is helpful. Hey folks! We're back! Again:hyper: This time for good! Come on over.